I am pleased to report that I have been accepted as a member of the Watercolor Honor Society. I look forward to participation in their activities, especially their international programs in Japan and other international locations. Visual Abundance garnered the First Prize in this year’s Members Show of the Society of Watercolor Artist of Fort Worth. I was pleased to give a presentation on how to Market Your Art to this group on December 8. I had given the same presentation to the Louisiana Watercolor Society several months ago. 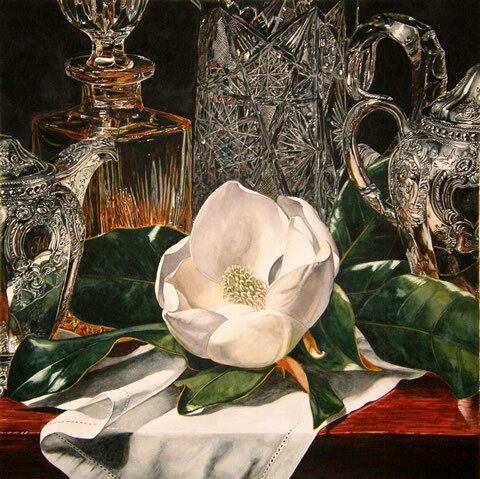 My painting Silver & Crystal with Magnolia was accepted in the recent international show of the Allied Artists of America where it was awarded The Kent Day Coe Memorial Award for Watercolor. This is first time I have been in this show. I am pleased to have been included in a show that includes a wide range of media, www.alliedartistsofamerica.org. 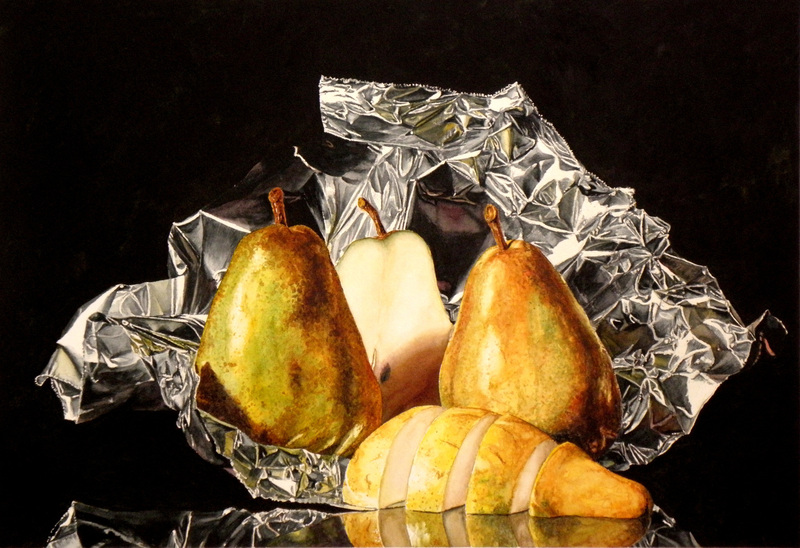 My painting, Plymouth Silver won the Board of Directors Award at the Watercolor Missouri National 2009. Three paintings were accepted in the Richeson 75: Figure/Portrait 2009 Competition: Watermedia. One of the Cowboy with Red Kerchief can be seen on their website. Rooftops – New York won the Annual Membership Award in The Society of Watercolor Artists, Inc, 28th Annual Juried Exhibition 2009, Fort Worth, TX. Keukenhof Tulip garnered the Binders Art Supplies & Frames Award, 2009 Georgia Watercolor Society – National Exhibition. I have been informed that my painting, Silver and Crystal with Magnolia is a Finalist in International Magazine’s Floral and Still Life Competition. Look for it in their November-December issue. 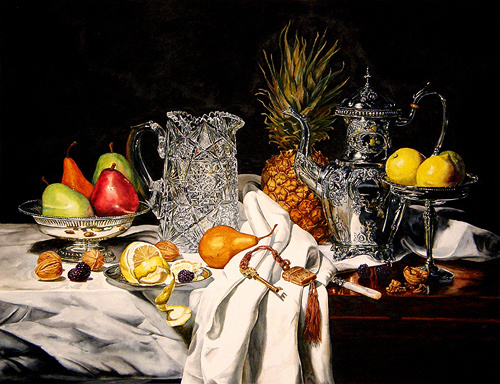 Richeson75: Still Life & Floral '08 Competition, Second Place: "Stuart Still Life" - "The hallmarks of this work are the technical staff and arrangements of positive and negative shapes. 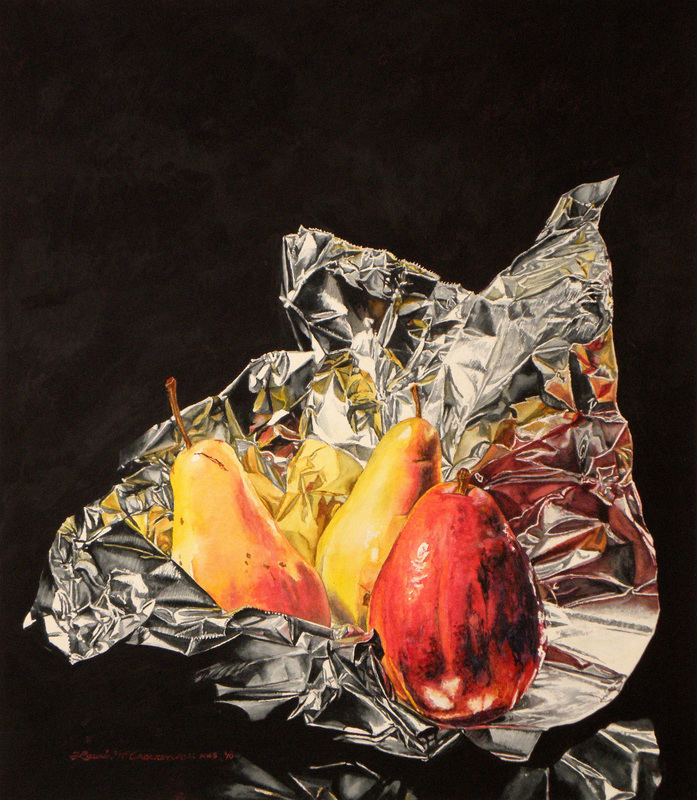 The surface and color contrasts between the crystal, the silver and fruit bring out a strong visual diversity." Janet Milford Memorial Award, Watercolor West 40th Annual Exhibition - for painting "Bicycles - Amsterdam"